We’ve had enough. We’re renaming the park. Park Fiction has become Gezi Park Hamburg. On the evening of 15 June the Gezi Park in Istanbul was forcibly cleared. Excessive violence was used against people on the streets, in hotels, in improvised hospitals: disturbing pictures of the brutal police operation have been broadcast around the world in recent days. 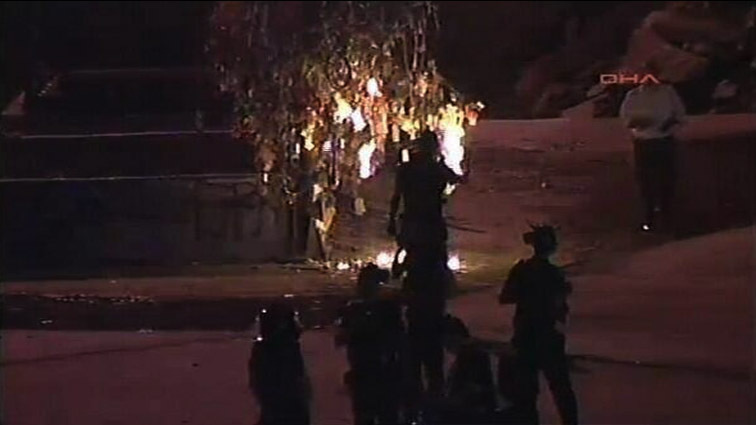 One of these is particularly symbolic: the Wish-Tree / tree of dreams in Gezi Park being set alight by police. Symbolic, because this is exactly Erdogan’s way of thinking: he wants to shatter peoples’ dreams. Citizens are being denied the right to determine the living conditions in their own city. But the people of Turkey are not standing for this any longer. In the past two weeks they have shaken the oppressive state to its core, have protested en masse on the streets in every city. With their imaginative, endearing and brave actions the people in Istanbul and elsewhere have paved the way for new, free, tolerant and just cities and society. Their imagination and humour has sent a message to the entire world. Now the Turkish military machine is rolling in and the Minister responsible for answering to the EU and Erdogan himself are threatening to treat anyone who sets foot in Taksim Square as a “terrorist”. Many of our Turkish neighbours took to Hamburg’s streets in solidarity with their friends, comrades and relatives. We support them. We developed the park together in the nineties with our Turkish neighbours. The artificial tulip field was designed by a Turkish neighbour. 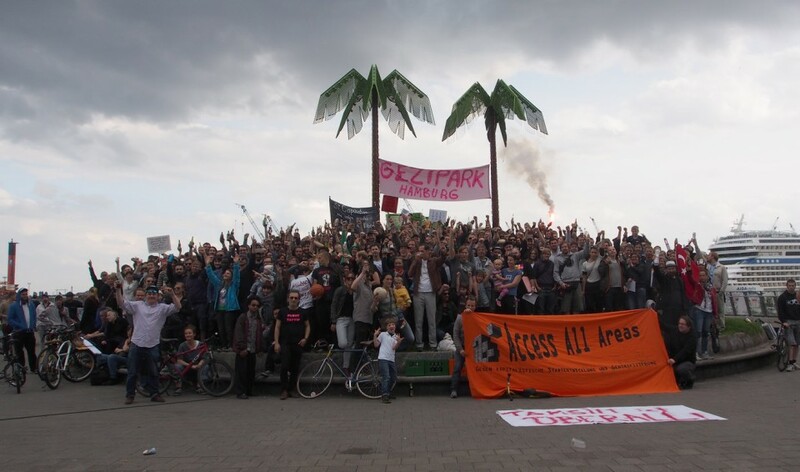 We know from life in Hamburg how important it is to fight for free spaces that symbolise emancipatory movements, and how important these spaces are when desires congregate to take to the streets – to change the world. Taksim and Gezi are exactly that- big style. Make two, three, thousands of Gezi Parks. Let thousands of desires blossom.